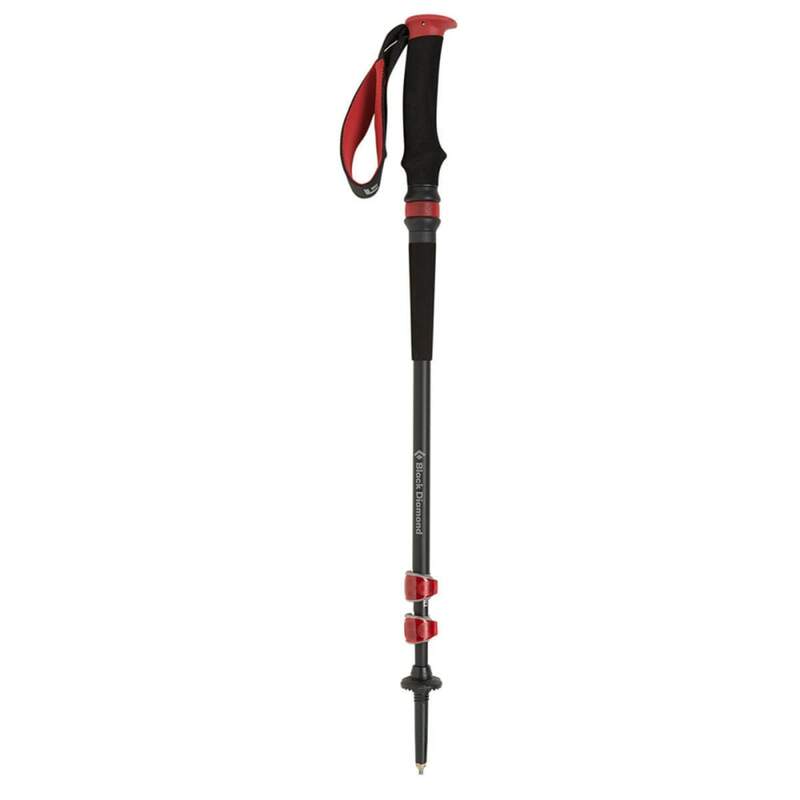 As Black Diamond's lightweight trail series trekking pole designed for four-season, on-trail versatility, the Trail Shock Pro features the terrain-absorbing benefits of Control Shock Technology, combined with the quick deployment and collapsibility of the new SmashLock quick-release system. The SmashLock mechanism allows you to quickly deploy the telescoping pole and lock it into place with an easy-to-hear click (keep the FlickLock Pro closed during deployment). Then, with the FlickLock Pro open, swiftly and firmly press the tip of the pole into the trail to release the SmashLock for a quick collapse. 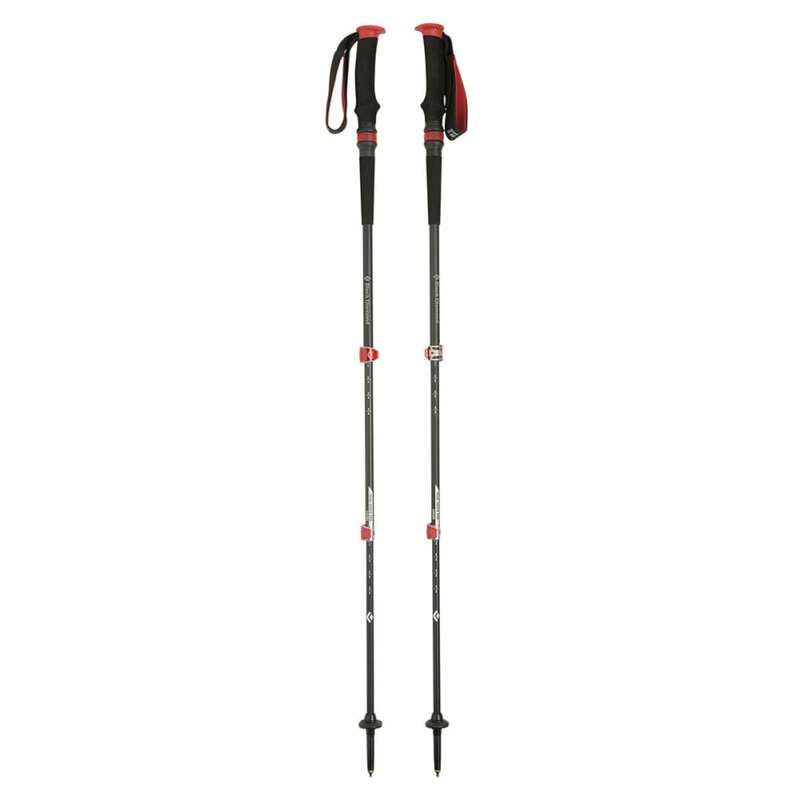 The pole's Control Shock is located within the grip and provides four-stage shock absorption with smooth rebound control on even the most rugged trails. The dual-density grip has been updated with a softer rubber top and a smoother, more comfortable design, while the solution strap draws inspiration from Black Diamond's harness technology and includes more surface area for better security around the wrist and improved handling whenever you're tackling steep terrain. Weight per pair: 20.1 oz.